Everyone welcome and invited to attend! Come discover what spiritual living is, and how it will impact your life, your families life and everyone around you in a positive way. 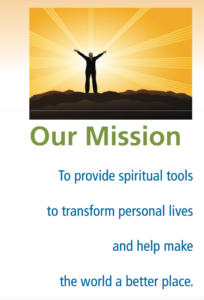 The Tulsa Center For Spiritual Living provides spiritual tools that transform lives and make the world a better place! No matter who you are or what the current issues on your path, in classes you will find a new perspective – in a timeless message that is totally relevant for today. Each class is taught in a fun and fast-paced format. The support of shared insights and the opportunity to ask questions in a classroom setting offer a learning environment not easily duplicated with solitary study. The discipline of regular attendance and the weekly readings create a framework for asking the big questions about life and our place in it. 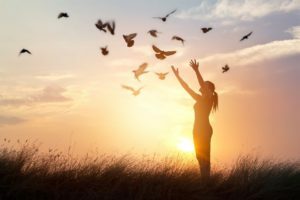 Our programs are designed to help you develop into your highest self-expression in each area of your life – health, work, finances and relationships. What we know is consciousness is evolving and developmental – that means being aware that there’s always more to learn, more to do, more to become. If we wish to live a deeply spiritual life, we must develop competency in the basics of living within the complexity of this physical world, and develop emotional intelligence in understanding ourselves and others. We need to develop a mental discipline to sustain the status quo yet be open and receptive to innovation and creativity. And as we move into higher levels of conscious competency we begin to understand the far-reaching implications of our interconnectedness to all life, that we are indeed our brothers’ keepers and custodians of this planet. Copyright 2017-2108 © All Rights Reserved.